It wouldn’t be an exaggeration to say that Microsoft’s Internet Explorer, Mozilla’s Firefox and Google’s Chrome web browsers are in the league of the most popular web browsers in the world today. It wasn’t long ago when Microsoft enjoyed having the web browser that most Internet users were familiar with, with no real competition in sight for a long period of time. 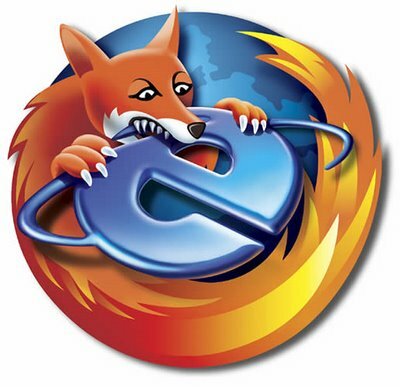 However, with the start of the new millennium, the browsers Opera and Firefox became common. Even though I did install Opera browser once on my laptop, the features just never appealed enough for it to become a ‘favorite’ browser of mine. Based on my browsing experience with the three browsers, I present to you some of my likes and dislikes of the 3 browsers. Like any faithful Windows OS user, Internet Explorer was the browser that started me off on my journey through the world wide web. With the introduction of tabbed browsing in version 7 of the Internet Explorer, browsing became a better experience where I didn’t have to juggle thousands of browser windows to browse through the various links of interest to me. a) Love the fact that IE allows switching between the most recently used tabs when Ctrl+Tab is used. This is pretty useful at work when I have to continuously switch between two tabs that are rarely be opened in consecutive order of use. b) Easier to add custom search engines compared to Firefox. Even the most novice users would be able to follow the instructions found here to add search engines for the most commonly searched through or browsed through websites. a) Quite slow when compared to Firefox and Google Chrome. I began to notice the differences in speed once I started using Firefox as my choice of browser. b) Tends to freeze up sometimes when too many tabs are opened, which is a common happenstance for me, mostly at work. I started using Firefox after starting to see reviews that Firefox is a much better and faster browser compared to IE. And my experience with the said browser did prove that and much more. a) Of course, the ‘faster’ browsing experience is my ultimate favorite with this browser. b) Experienced more secure browsing via this browser, i.e. less chance of spyware and adware making its way into my computer and start slowing things down. c) Even if Firefox is closed unexpectedly or crashes, it restores the tabs that were open at the time of crash or closing upon being reloaded. a) I have found that Firefox too tends to freeze up at the most inopportune moments. Makes it cumbersome at moments when I am so deep inside the multiple layers of browsing. b) If I want to switch between the most recently used tabs, I have to download an add-on which does this for me. I would like the browsing experience much more if external add-ons do not have to be installed to have this rather useful feature that makes the browsing experience a much more fun and easier one. c) Adding custom search engines might be difficult for users who are not technically savvy. This is the current default browser that I use on my laptop now. I started using Chrome a few days back when Firefox kept on crashing and making a headache out of my web browsing. I would have to say that Google Chrome is pretty cool and gives a really fast loading time as well. a) I love the loading speed. b) Love the fact that I don’t have to load Google as my homepage to start searching on my mundane information quests. I just have to type in my query in the address bar and viola I get the search results from the Google Search Engine. c) Its a cool feature that I have observed on Chrome that even if I am unsure of the web address of a particular website, once I start typing in the address bar, Chrome quickly lists out possible web addresses from which I can choose the website which I am actually trying to load. a) There are I guess various developmental bugs in Chrome still in its latest versions, which annoyingly kept me from installing and using Chrome on my work station. I gave up after 2-3 tries. Bummer! Since I have been using Chrome as my web browser of choice for a very few days, I haven’t come across any other feature that kept bugging me and making me wish if it weren’t so. So for now, I will just Google Chrome my way across the world wide web and guess on the way I will learn about more cool features that would make my browsing experience worth my while. ← Is there any such thing as unbiased journalism? I haven’t tried using Dhivehi on GV. Guess that’s cos I don’t use it for work purposes which is when I use Dhivehi mostly. Oh yes, now I see what Ca meant. Hmm bummer! !